Today's Favorite Tools installment features Kelly Titus of Aperture Agog. 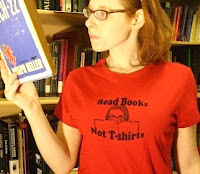 Kelly is a photographer and printmaker who specializes in NYC street art and niche humor. She sells her work in the form of greeting cards, art prints, hand-embroidered wall art, and original hand-screened T-shirts. Kelly's work is distinguished by a rascally wit and poetic sensibility. 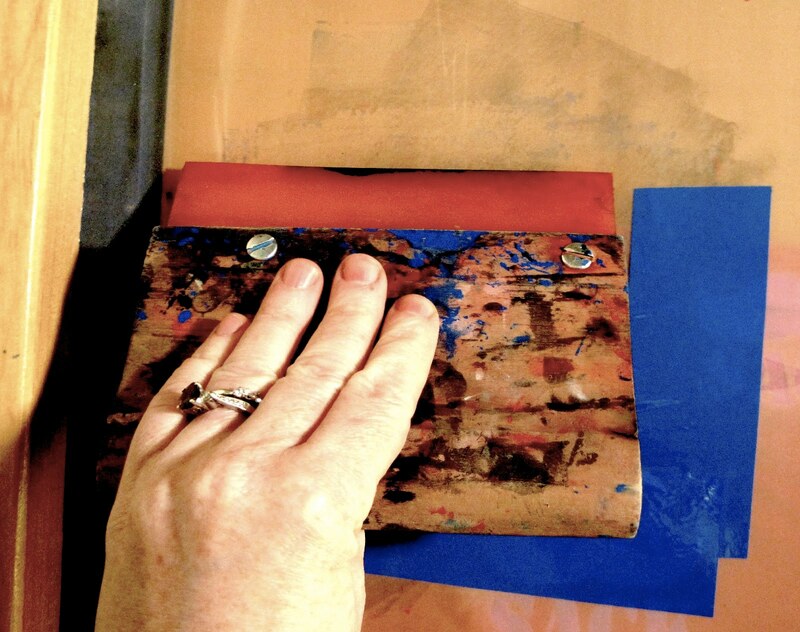 Kelly's most beloved tool is a squeegee that was given to her by a good friend when she was just learning to silk-screen. 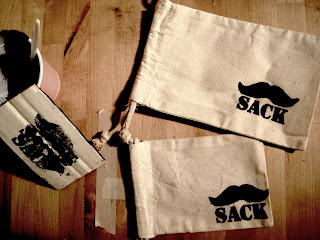 She uses it to silk-screen sassy T-shirts proclaiming her love of roller derby, bike riding and reading; and of late, mustache-emblazoned "Stache Sacks," muslin drawstring bags for holding "secret stashes of mischief" (see final pic, below). Kelly loves this particular squeegee because it's "always magic for me no matter what I hand-screen." Kelly attributes this magic to the good friend who gave her the squeegee. As Kelly describes, her friend "is super-creative and always has fun with what she does. I think some of those good vibes are still in the squeegee." Indeed. 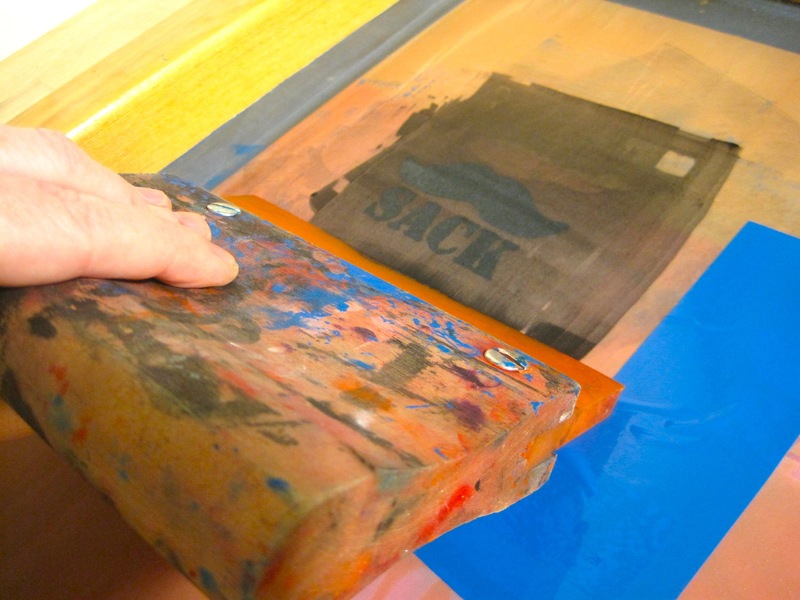 Silkscreening entails pulling ink over a stenciled image that has been superimposed onto a fine mesh screen, thereby transferring the image to fabric or paper. The squeegee pulls the ink. Kelly explains that the silk-screening process "can go wrong in a million ways:" Apply too much pressure and/or at the wrong angle and you get a globby or uneven image transfer. Apply too little pressure and the image doesn't show up. Kelly attests that when she uses her magic squeegee, "most of my pulls come out great. It's all in the squeegee!" Couldn't we all use a magic squeegee? love it! thanks for sharing kelly!! Thanks ladies! It was really fun to pick my favorite tool and show it off.